Gazprom Fiddles while America Fracks? Gazprom still thinks that it is not sleeping through a shale gas revolution, despite President Vladimir Putin's declaration in April to the Russian parliament that shale gas is a real danger. His close ally Igor Sechin, head of the state oil company Rosneft agrees that Gazprom risks losing markets. But Gazprom's own chief thinks that shale exploration might not begin in Russia before the twenty-second century. Aleksandr Medvedev, head of the Russian gas concern, points to the offshore fields, the Arctic and other deposits to argue that even if others are enthusiastic over shale gas in their own country, Russia does not have to be concerned with this because of outstanding reserves in other forms. In an interview with Russia Today, he continually pointed to Europe and emphasized that Russian contracts there are not based upon level of consumption but are rather "take or pay", ie., the non-Russian client pays even if they don't take the gas. This not entirely surprising, since Europe represents the lion's share of the two-thirds of Gazprom's revenue that comes from international sales. But Medvedev is curiously myopic over the pressure that shale gas production will put on gas prices. Some European clients of Gazprom have even re-negotiated their take-or-pay clauses. Even if the U.S. does not export a great deal, because of high domestic consumption, nevertheless all the gas that they produce for themselves merely means that the gas that they would otherwise consume from international sources will have to find new markets, where it will compete with Gazprom's product over price. Moreover, shale gas, freed from rock by hydraulic fracturing (.fracking.) is not the only new competing source of gas. 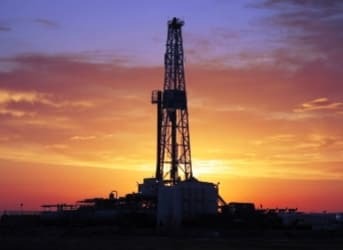 There is also tight gas, which is also liberated by fracking but is held in denser and less porous rock such as sandstone and limestone, as opposed to shale, which is a composite of mud, clay, quartz, calcite, and other minerals. In addition, coal bed methane (CBM), which as the name suggests, is extracted from coal beds by drilling and then pumping water out of the coal beds, releasing the methane. And yet with all the conventional gas in Russia, no matter how difficult it is to extract and transport for domestic consumption, there is little economic sense to the exploitation of the country's own shale gas resources. Gazprom invests (or convinces foreigners to invest) more and more in the Arctic, both offshore and onshore. This strategy goes back twenty years to when the Yamal-Europe pipeline was first planned in the early 1990s. For so long as the Europeans have no other sources and/or are locked into take-or-pay, this strategy may continue to work. Gazprom does develop its LNG production and export activities, and confidently predicts that it will gain 15 per cent of the world LNG market in due time. Who will buy it remains to be seen.